Vegetarians have taken one step up in the right direction. They do not end corpse. Dog eat the corpse. Those who drink milk or eat dairy products create suffering for animals. The universal law of Action and Reaction will bring pain to their lives. Do not cause pain and death for other animals. Go one level above vegetarian. Become Vegan. Learn, Vegan is not very im[portant. It is not important at all. Vegan is one level above dogs. It means you are not a corpse eater dog. Vegan means fighting for animal-rights. It is not related to food. Real Vegan means Justice. Animals do not have an owner. Keeping animals is slavery. It creates a painful universal reaction for you. You are allowed only to keep other animals like your human animal children. If you can do that, they are your adopted children. Human female animals release an egg every month. Do you collect that and eat that? It is disgusting. Hen’s egg is the same as the female human animal egg. Do not eat egg. It is disgusting. 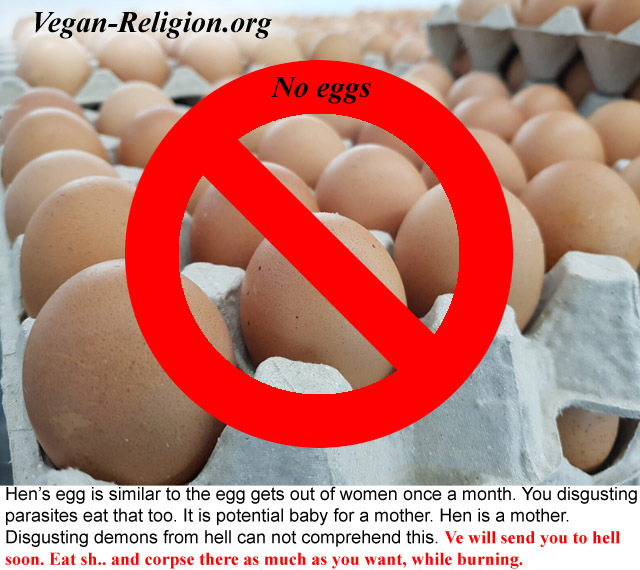 Also, you must know that male baby chickens are ground alive by the egg industry. It is a crime. We do not forgive this crime. We will grind them alive soon. This is the revenge of innocent blood of chickens. Vegetarians, learn kindness. A cow is a mother. She produces milk for her babies. 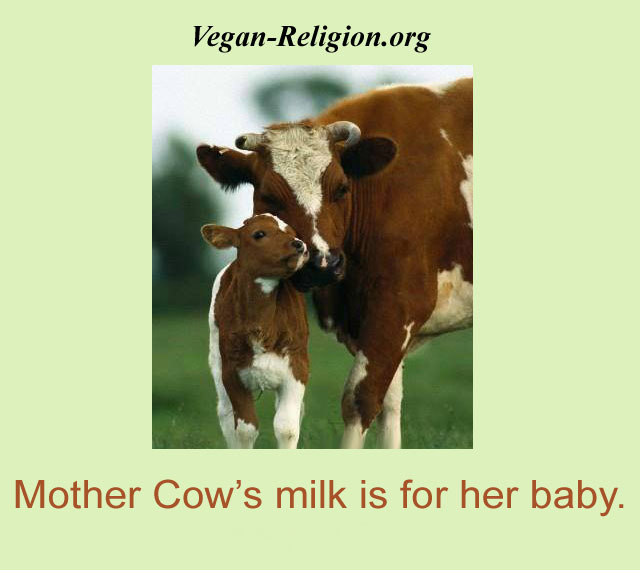 She does do not produce milk for human animals. Don't Steal milk from the mother cow. 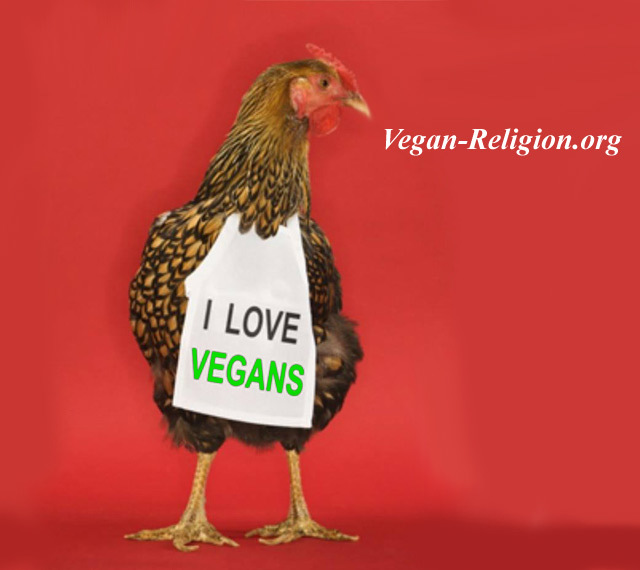 Convert to Vegan. Come up to the level zero of humanity. Vegans are in level zero. Corpse-eaters and dogs are the same. They are below level zero. Vegans derstroy cages. Become Vegan. 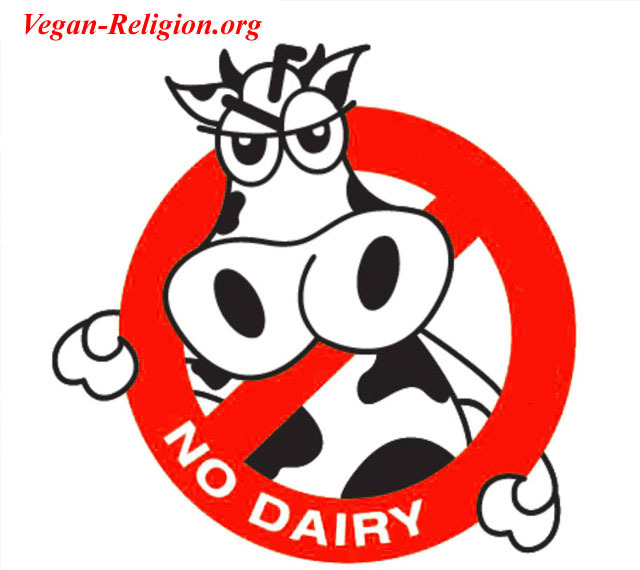 Dairy products harm innocent Animals. Cows are suffering. They are locked in cages. Male babies are stolen from their mothers and placed in grinding machines alive. This is a painful death. Stop creating pain for animals. Become Vegan. Come up to the level zero of humanity. Convert from a dog to level zero of humanity. Dogs and corpse-eaters are the same. Vegan means Justice. When you start fighting for animal-rights you are going up from level zero to higher levels. 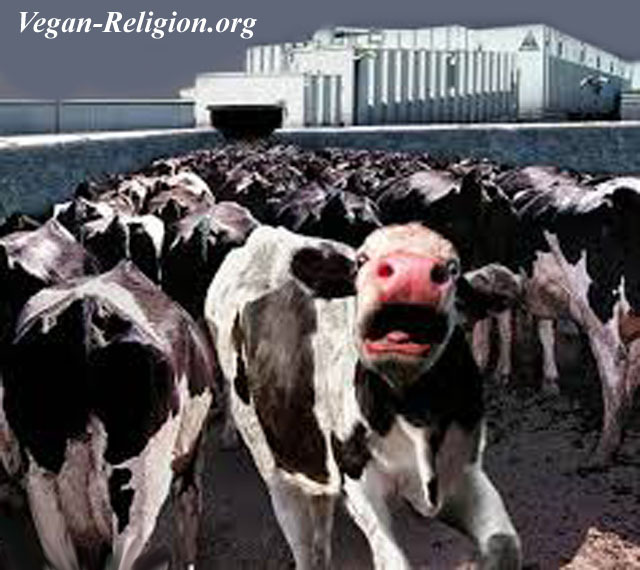 Mother cows are inseminated by horrible methods to keep breeding cows. This is the crime of the dairy industry. This is a direct violation of their body. Vegetarians learn the truth. 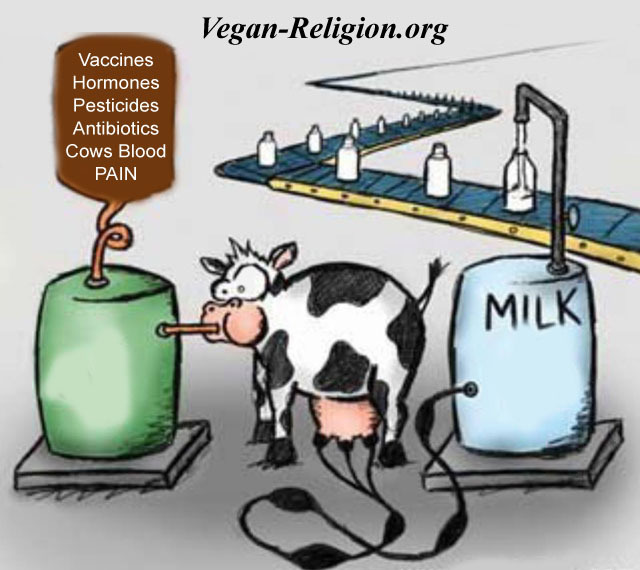 Milk and dairy products cause large pain for cows. This pain is converted to hate. This hate is inside milk. Use milk and you get sick. It is also a big lie that milk gives you calcium. It is a 180 degree opposite of the truth. Milk is the cause of calcium deficiency. Do not trust murderers. Do not trust the dairy industry. They are criminals. They are murderers. They lie. We will kill them all painfully soon. Wait and see how it is done. Hunters must be killed. Butchers must be killed. Dairy industry owners and investors and directors and managers must be killed. They are criminals. This is justice. You become a Vegan. If you are vegetarian, learn and elevate from dog to level zero of humanity. If you are a dog come up to the human level. Stop eating the corpse. Stop eating pain and misery and milk. This is a picture of misery for cows. 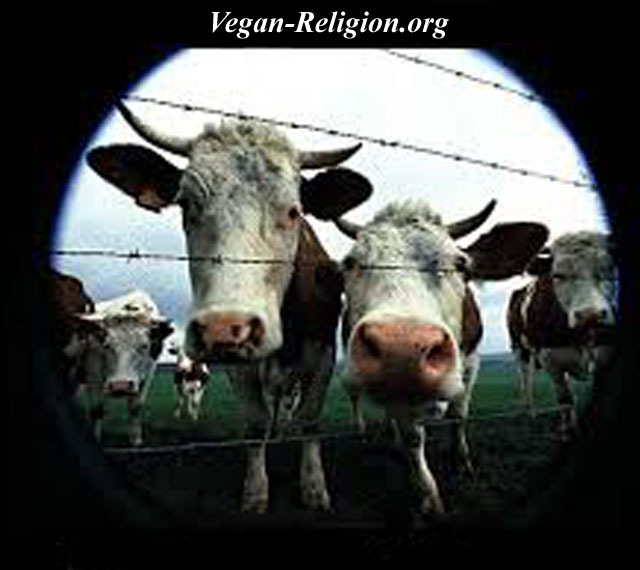 You are responsible for their pain if you eat corpse like a dog or eat dairy products. Corpse-eaters and dogs are the same. Vegetarians are below level zero of humanity. If their motivation is health and food, Vegans are in the level zero of humanity. That means they are one level above dogs. Vegan means Justice. You can elevated from level zero of humanity to higher levels only when you start fighting for animal rights. Vegan is not related to food. Vegan means Justice. These are horrific crimes against Animals. We must create empathy for other Animals. They are our brothers and sisters. Do not contribute to crimes against animals. Rise for justice. Go Vegan.